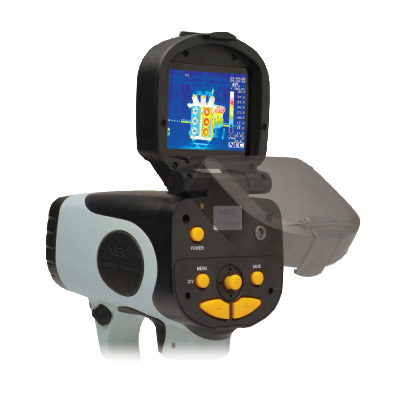 Thermo Tracer TH7800N | Infrared Thermography | NIPPON AVIONICS CO.,LTD. Note : *1 Calibration range 0 to 100°C, range other than the calibration range is theoretical value. *2 Calibration range 0 to 250°C, range other than the calibration range is theoretical value. Download thermal image from the internal memory to PC via USB2.0. 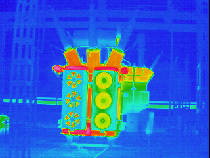 Display thermal image thumbnail (Windows Explorer), thermal image replay, image preview and save or save as. Setup level, sense, span, color palette, gradation, page and new folder. 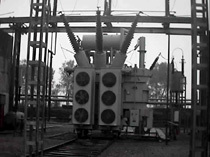 Edit such as multi-point temperature display, multi-point emissivity display, and saving image in BMP, JPEG, or AVI. Replay thermal image, visual image and voice annotation and save or save as. Setup level, sense, span, emissivity, page, color palette, gradation, multi-sense, isothermal band, cursor, box and waveform display, etc. Display max/min temperature in a box or full screen. Analyze thermal image and data with histogram, trend graph, multi-waveform, and max/min search, etc.